The warm colours of the timber, the morning sunlight coming through your window and the cheerful living picture of natures will add exquisite comfort to your stay at Avirio Vingis. It’s just you and nature! Leave your worries behind and enjoy it. 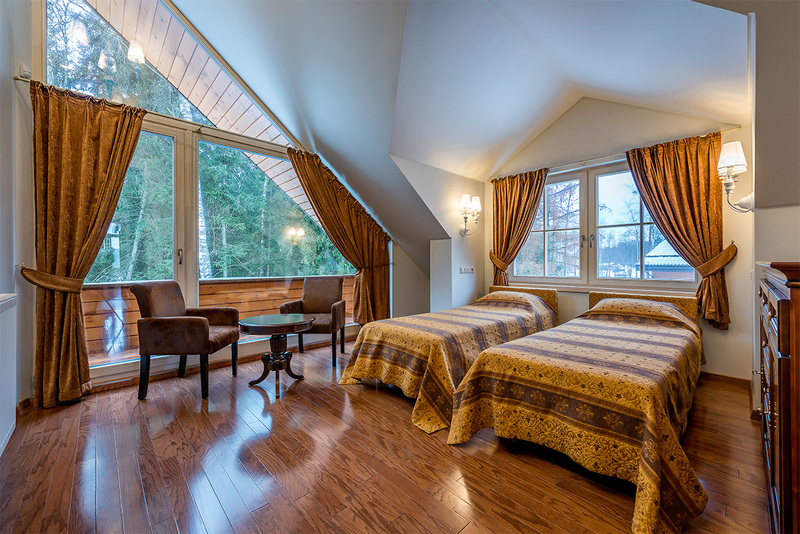 This cosy and stylish room is equipped with comfortable furniture, a modern bathroom with a shower, a spacious balcony overlooking the forest, and a relaxation area with chairs and a table.